We can’t promise that George Bell will be No. 11 when we reach that point in our Opening Day Countdown Down Under to Major League Baseball’s Opening Series in Sydney, but we invite him to join in today’s little celebration right here. Bell became the only Major Leaguer who ever swatted three homers on Opening Day when he did it for Toronto in 1988, and then two left-handed-hitting No. 25s joined him when Karl “Tuffy” Rhodes did it for the Cubs in 1994 and Dmitri Young did it for the Tigers in 2005. Rhodes is an Opening Day legend largely because of the almost ridiculous circumstances. 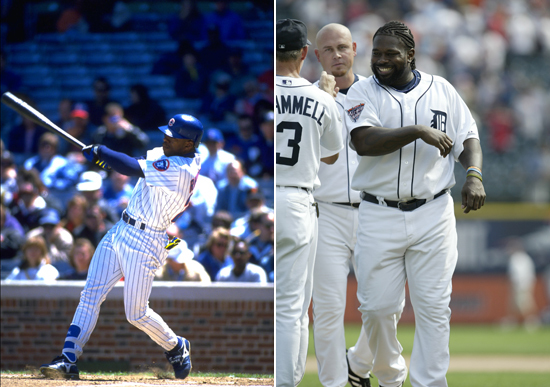 He hit all three of his at Wrigley Field off none other than Mets righty Dwight Gooden, who may or may not be No. 16 in our Countdown in the days ahead. (Feel free to argue for him or against him in the comments here for that honor, by the way.) The Cubs’ little-known leadoff man hit three solo shots, and the Wrigley wind was his best friend. Rhodes finished the season with eight longballs and finished his six-year career with 13 homers in 590 at-bats, or one in every 45 ABs. After that, he became a home run king . . . in Japan. Young, a former No. 4 overall Draft pick, was a much more likely candidate for such a season entrance. It was 2005, the year the All-Star Game finally would return to Detroit, and a record crowd of 44,105 was at Comerica Park to see the Tigers host the Royals. Young, batting fifth in the Tigers’ order, took starter Jose Lima deep in the second and third, was (naturally) plunked by reliever Andy Sisco in the fifth (then scoring one of his four runs in the game), singled off Shawn Camp in the seventh, and added the pièce de résistance off Mike MacDougal in the eighth. Young homered once in every 28 at-bats in his 13-year career, finishing with 171 homers. Who should be No. 24? 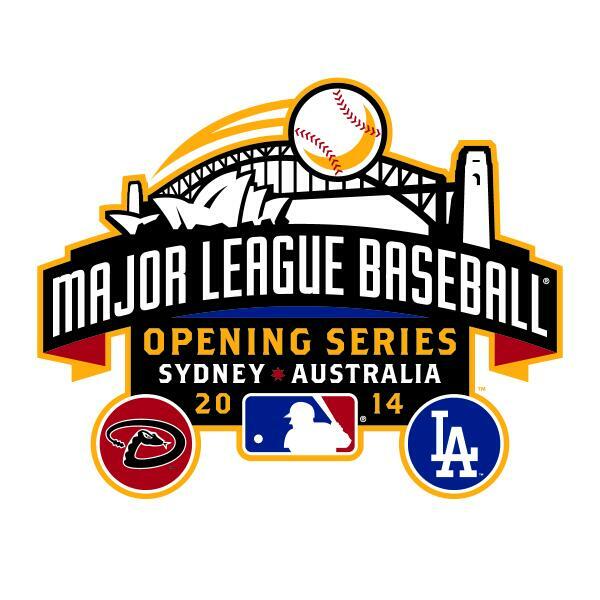 Update: Here’s a look at the brand-new MLB Opening Series logo. Feel free to add it to your MLB.com Blog! Willie Mays, the “Say Hey Kid” hands down.